Attractive VG or better card has great color and image quality. Signed in especially bold and large blue ballpoint ink, this is a terrific signature. 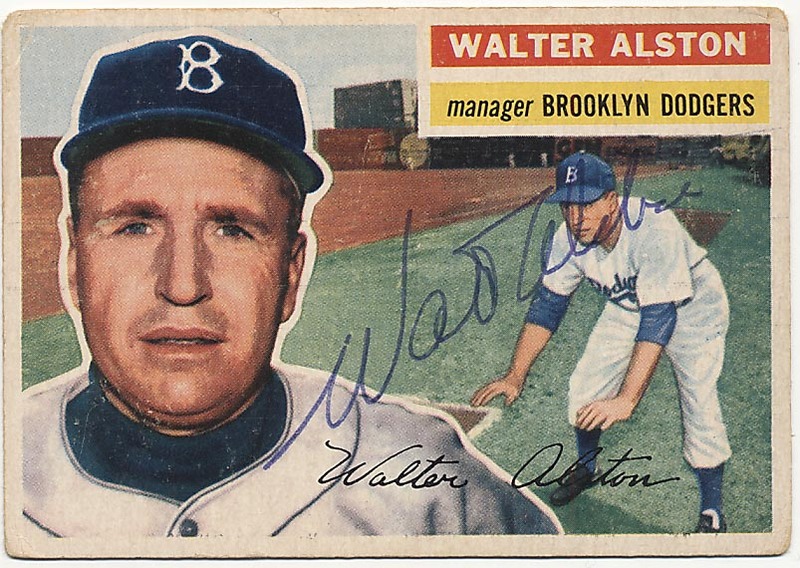 His Rookie Card and a Brooklyn Dodger, good combo! JSA LOA.